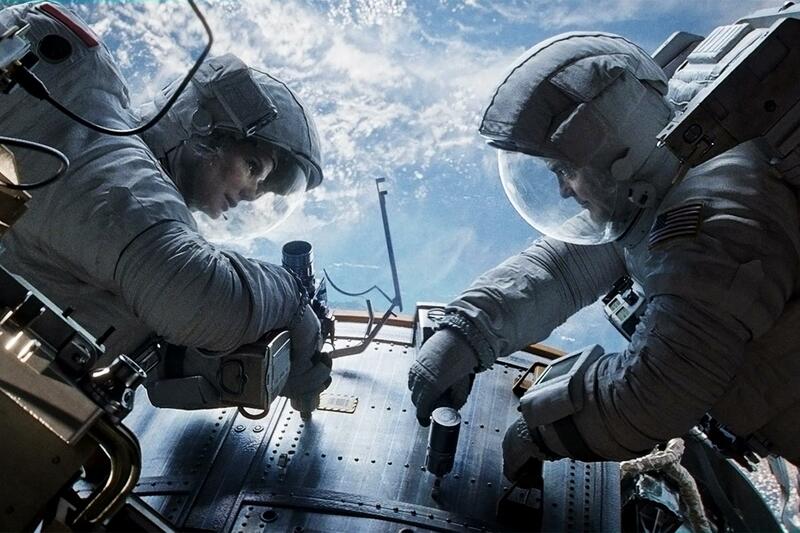 Alfonso Cuarón's 'Gravity' stars Sandra Bullock and George Clooney in a character driven movie set above the Earth. Director Alfonso Cuarón’s does not want to comfort you. He wants to force you to stare at the screen in riveted discomfort. And after witnessing his newest film Gravity, you’ll thank him for it. With some film directors, you know exactly what you are going to get. When you step into a Michael Bay movie, for example, you have a fairly good idea of what comes next. That’s not a bad thing though – we enjoy curling up with a familiar director just as much as we do with a familiar author. It can be comforting, but there are a few directors who don’t want you comfortable. They don’t just provide something for your eyeballs, some of them hook you by the collar and drag you to the edge of your seat, then keep you perched there until the credits roll. 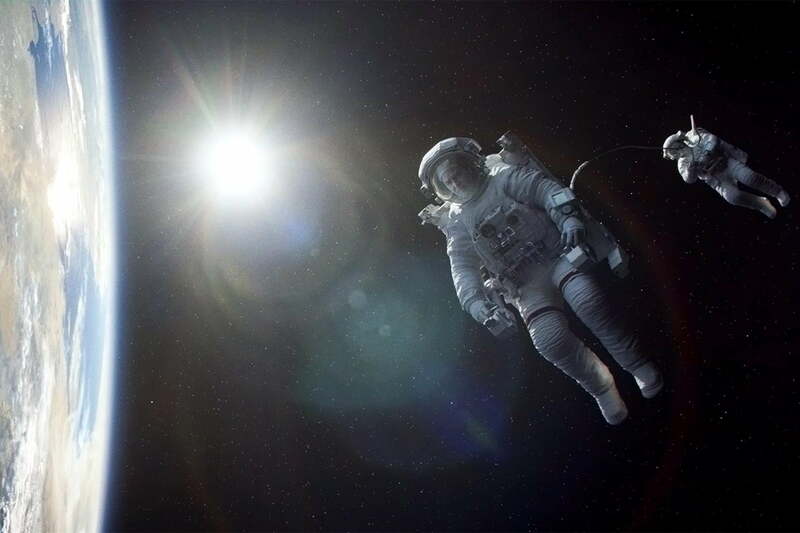 This is the case with Cuarón’s Gravity, which is nothing short of a cinematic masterpiece. 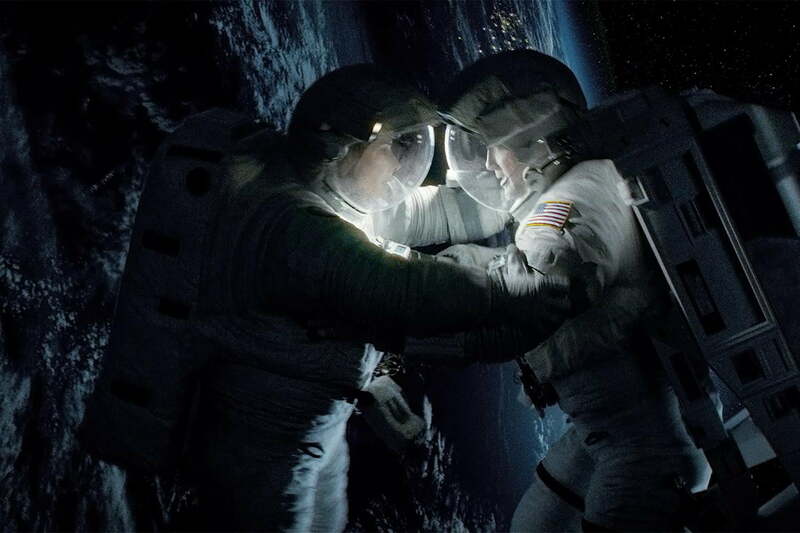 When a filmmaker can work with just one cast member for the majority of a film – in the case of Gravity, Sandra Bullock – and still deliver an unforgettable experience, it’s quite an achievement. It’s akin to asking an artist to create something impressive using just one color. The credit for that in Gravity belongs to more than Cuarón and Bullock alone, a team of talented people created this film. It certainly feels like a piece of art though, showing a master at work. Gravity feels like a piece of art … showing a master at work. 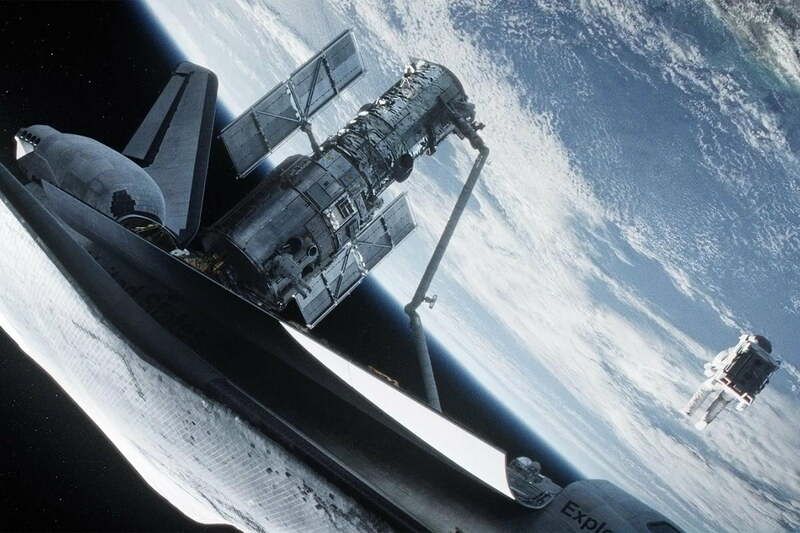 As the film opens, Dr. Ryan Stone (Sandra Bullock) is on her first shuttle mission (in the film, the shuttle program is still active), installing a piece of hardware on the Hubble space telescope. As she diligently tries to complete the installation, combating her own nerves, veteran astronaut Matt Kowalski (George Clooney) calmly tests out a prototype jetpack, simultaneously boring and entertaining mission control with his colorful stories. The situation quickly turns to chaos as a remotely destroyed Russian satellite becomes high-speed shrapnel on an orbiting collision course with the astronauts. The debris decimates the shuttle and most of the crew, leaving Kowalski and Ryan the sole survivors. The pair then head toward their one hope for survival: the International Space Station. Cuarón deftly sets up the film to this point by only showing the faces of Bullock and Clooney. Other crew are heard, but never shown. This unusual directorial choice remains constant throughout the rest of the film. 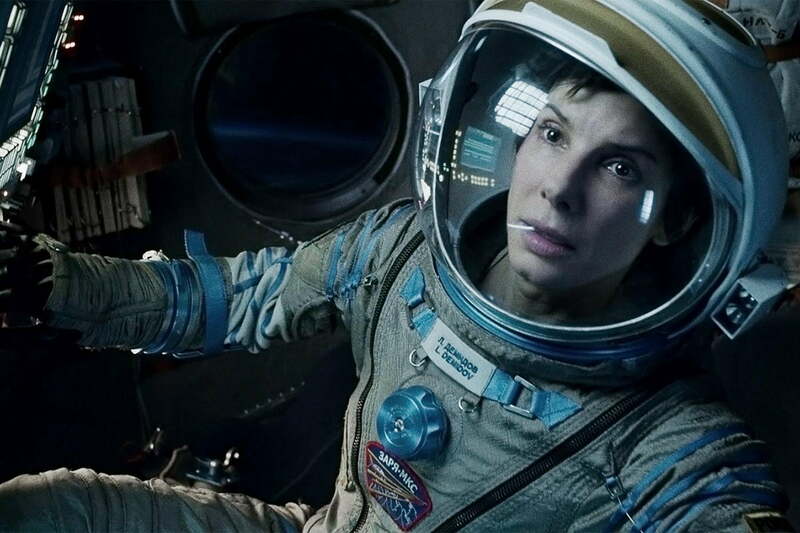 Gravity forces you to spend most of the 90 razor-sharp minutes inside the helmet (and head) of Sandra Bullock’s Ryan Stone. Sandra Bullock stars as Dr. Ryan Stone, an astronaut on her first mission suddenly confronted with terror few could imagine. Bullock expertly carries most of this film herself, with help from Cuarón and the crew. She owns every aspect of Dr. Ryan Stone, and manages to make the character feel like an extremely flawed, but believable human being caught up in an incredible situation. The word “gravity” has an obvious double meaning for Ryan, both in her very real battle against the physical law of gravity, as well as the dire gravity of her situation. Through her struggle we learn as much about Ryan as she learns about herself. When she finds a brief moment of calm, she floats in the center of the camera, curling into a fetal position and catching her breath. Later imagery underscores the fact that this experience is like a rebirth for her, albeit one with a very painful labor. 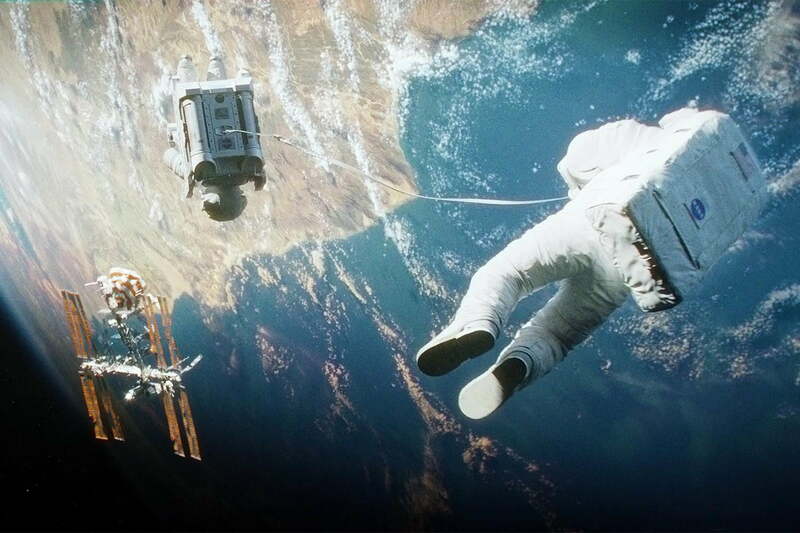 Gravity isn’t just a disaster movie in space, it’s a character study of a person under unimaginable stress. 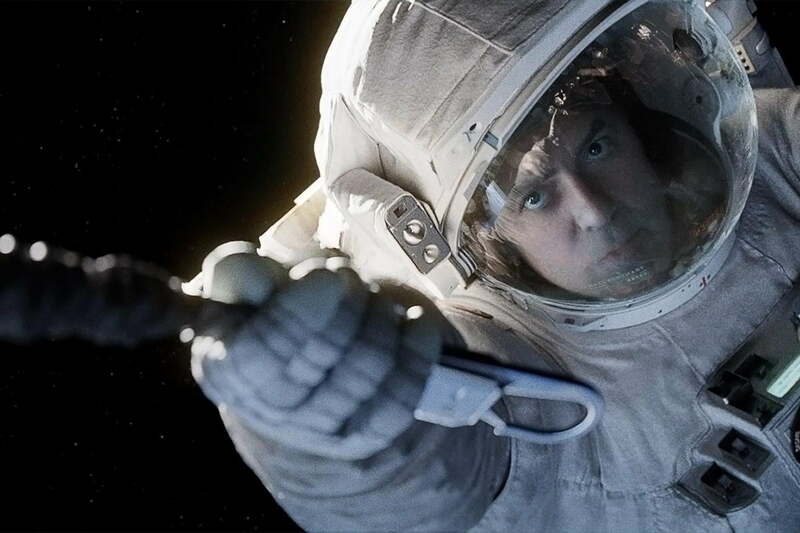 At times, the movie becomes a balletic performance – not just between Bullock and Clooney’s characters as the pair of astronauts manipulate a tether between them – but also as Bullock moves in zero gravity, gracefully at times and awkwardly at others. 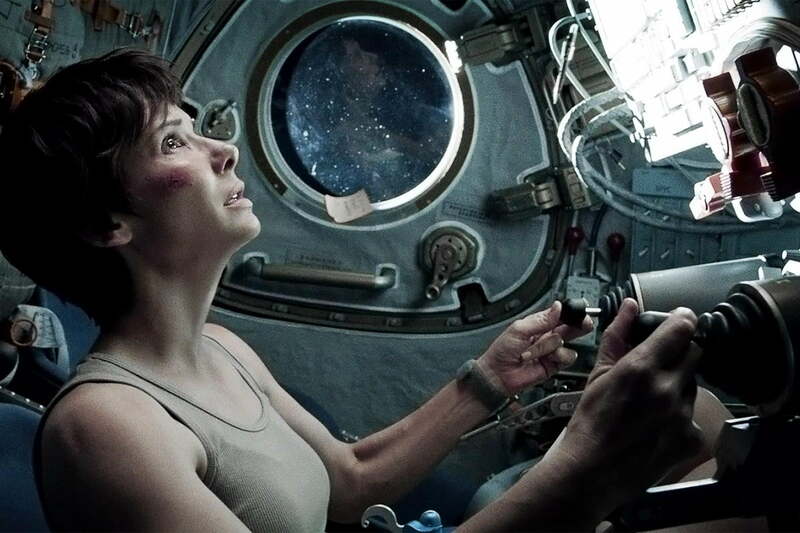 To achieve this movement, Cuarón and his team had to create new technology to make the entire experience believable, including a massive light box full of thousands of LEDs that allowed the filmmakers to simulate Bullock spinning out of control in space. They also concocted a 12-string rig manned by puppeteers that simulated the weightless environment of space – and the restrictive way that it can alter the way a human moves. There have been several films set in space before, but few pay as much painstaking attention to the minutia of zero-G movement as Gravity. The script has a ticking countdown timer built into the story in the form of the Russian satellite debris, which orbits every 90 minutes, and as a result the film moves at a breakneck speed. By the time you reach the end, you might have to pry your hands from the armrests and wait for the blood to flow back into your fingers. It’s a taut hour and a half that feels like a roller coaster, and you’ll want to queue up to ride it all over again. 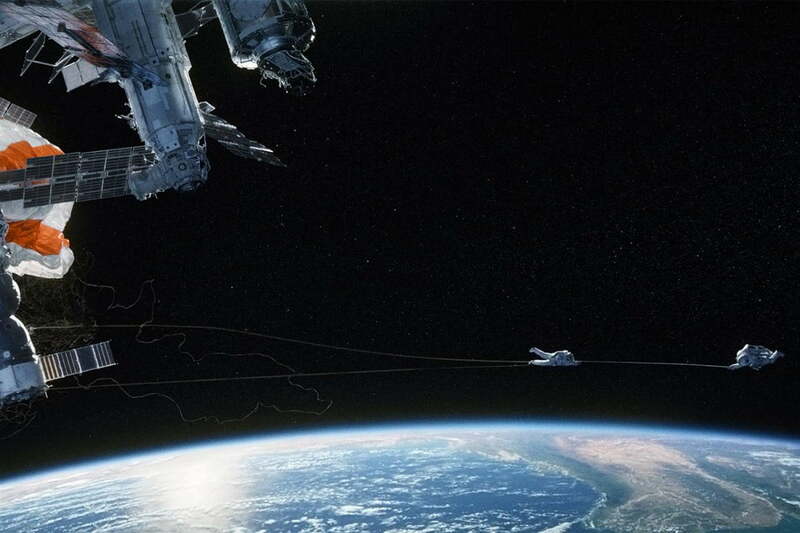 At its heart, Gravity is a film about survival in one of the most desolate environs known to man. Even on Planet Earth, while scaling the highest peaks or plumbing the darkest depths, you are still tethered to terra firma by gravity itself. But eliminate that, and there is literally nothing keeping you in check or reminding you which way is up, because the concept of “up” becomes meaningless. Cuarón expertly guides this film just like he did with 2006’s Children of Men, and the end result is a rare treat in Hollywood: an emotionally charged film married with pulse-pounding action sequences. Without a doubt, these are among the best 90 minutes you will spend in a movie theater this year.